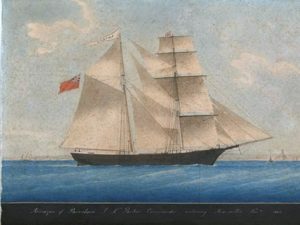 The Mary Celeste by an unknown artist. On November 7, 1872, the American ship Mary Celeste left New York Harbor en route to Genoa, Italy. On December 5, 1872, a British brig discovered that vessel drifting in turbulent seas about 400 miles east of the Azores. Its cargo of industrial alcohol was intact, but not a soul was aboard. No trace of its ten crew members was ever found, making their fate one of the most enduring mysteries in maritime history. Of course, there are still plenty of people interested in producing and taking MOOCs, but the founders of the American companies that create them have lately become about as scarce as the crew of the Mary Celeste. In 2014, Coursera founder Andrew Ng left day-to-day activities that company to join the Chinese search engine firm Baidu (although he remains Coursera’s Chairman of the Board). Earlier this year, Sebastian Thrun, founder of Udacity, departed that company earlier this year perhaps frustrated by what he once famously called its “lousy product.” Last week, Coursera’s other co-founder, Daphne Koller, exited in order to join a subsidiary of Google. Besides MOOC leaders, some of the courses they commissioned during the early years of MOOC-Mania are disappearing too. Coursera, for instance, just changed platforms in order to make it easier for students to take classes “on demand.” As a result, “a few dozen” MOOCs became completely unavailable, and those students who do enroll in the new courses might be taking them without the benefit of thousands of colleagues taking them simultaneously like the first MOOC students did. Some superprofessors, like the Princeton sociologist Mitchell Duneier, have suspended their MOOCs on their own accord. The most obvious reason why everyone from the founders of MOOC companies to students who sign up for such course are abandoning MOOCs is because these kinds of courses have not lived up to their initial hype. MOOCs were supposed to transform education as we know it, but traditional education with its inefficiency derived from the close proximity between professors and their students has proved more resilient than its wannabe disruptors ever imagined. Yes, there are still plenty of MOOCs available for people who want to take them, but it now seems safe to conclude that Sebastian Thrun’s 2012 prediction that there will only be ten institutions of higher learning in fifty years will be off by a large order of magnitude. Why aren’t MOOCs more popular? 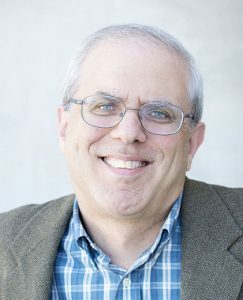 “Many MOOCs are ill–structured, and it takes a lot of onus on the student to do a lot of the work,” explained Dennis Charsky of Ithaca College earlier this year. “It leaves for a lot of exploratory learning, which many students don’t like and can’t persist with.” While plenty of lifelong learners might be willing to consider this kind of experience as long as it remains free, every attempt to monetize the many eyeballs that MOOCs can attract has so far come up short. With MOOC production costs as high as $325,000 for a single course, profitability is almost certainly the main obstacle to keeping MOOCs viable for the long term. This problem has been obvious to industry observers since the early days of MOOC Mania. “Coursera has simply never had a coherent plan to generate revenue,” explained Alex Usher of Higher Education Strategy Associates all the way back in 2013. “Allegedly, they were going to try to make money on a bunch of other things, like being scouts for businesses on the lookout for bright young talent, but there have been no announcements of revenue from these sources. Given how the tech news industry works, it’s a safe bet that means the figure is close to zero.” Daphne Koller’s recent decision to exit Coursera strongly suggests that this revenue problem has yet to be solved. While companies like Coursera may still have lots of venture capital money to burn, the passing of this industry’s pioneers from the scene is as good a time as any to recognize that the profitability problem of MOOC providers is a problem that will never be solved. To make an often-used comparison in tech circles, compare education to the music industry. Most recording artists are now getting fractions of cents when consumers stream their songs because replicating digital copies of their work costs almost nothing. To make up for that problem, many bands have come to depend on touring to earn themselves revenue. Colleges and universities, however, are already charging students an awful lot of money to see live performances by their professorial talent. Moreover, recording those lectures and distributing them for free over the Internet is a noticeably inferior experience to being on campus almost by definition. We professors do much more than talk at you during their live performances. Living, breathing faculty answer your questions, grade your papers and will even chat you up if you visit them during their office hours. MOOC providers will never be able to close this gap in educational quality. Of course, Coursera and its ilk aren’t really trying to do so for economic reasons. If teaching were like most activities, it might be capable of being automated and scaled. But unfortunately for the MOOC providers, teaching isn’t like most activities. Every dedicated professor – even those of us who do not meet the MOOC provider’s definition of “superstar” faculty – can provide a learning experience that’s superior to watching pre-recorded lectures alongside tens of thousands of people from around the globe. Even then, like the Mary Celeste, online courses without a live crew manning them can be very lonely experiences. A good education is an active experience, meaning that your professor can see you and adjust their teaching to the reactions of their audience and the students can respond to their professors in real time. Watching professors “on demand” on your computer, alone in your room, might make good business sense for Coursera, but it makes poor educational sense for anyone with access to an on-campus alternative. That’s why not enough people will ever fork over enough of their money to keep Coursera afloat for the long-term. I am a frequent MOOC user. Or at least I was. MOOC is a great idea. Coursera lost me when they abandoned the forums in favor of on demand. The on demand model does not work. I never finish an on demand course. Deadline pressure is needed. The financial model also does not work. No one wants to pay for certification. And the cost is too high for a piece of paper with no value. A lower fee with large numbers and repeated offerings however might work. $300,000 is a steep cost though to cover. And that may not even include any pay to the professors and staff. Courses would need to attract 10-20,000 students over the run of a course production. Maybe less specialized courses, more general interest. And do not abandon the forums. I’ve been a mooc’er for a little over three years now. I’ve taken upwards of 70 courses in pretty much every discipline (history, life science, math, philosophy/religion, physical science, music, literature) – except business or computer science. Then again, my career, such as it was, is over. I’m not trying to use moocs to improve my future. I’m just learning everything I can, because I love it. But I really got a great deal out of Coursera before things went south (and I still get a lot out of certain courses on edX), and I don’t think academics as a group are willing to acknowledge that. But we may be talking about a different kind of value: I don’t look at moocs as a replacement for college (though I think they would be an incredibly valuable preamble or adjunct to bricks-and-mortar school). I already had a degree, earned half through night courses over ten years, and half by a couple of years at the commuter branch of a state university. I wasn’t looking for credentials; I was just looking to understand. Most dramatically, three specific Coursera courses helped me get over a lifelong hatred/fear of math. I’ll never be “good” at math, but thanks to three outstanding professors who put a lot of thought into how to do a mooc, I can do enough to cope with sciences I’m trying to understand, and, most importantly, I smile when I see a new Numberphile video and understand xkcd / SMBC more often every year (my often-repeated reason for taking math classes: I just want to get the jokes. Hey, whatever gets you there). Where does “recovery from mathphobia” fit on a bricks-and-mortar curriculum? But those three courses are shells of what they once were. One, the most seminal one, hasn’t even been converted to the new platform yet, because its value, by professor design, lies in thrashing out problems with other students, not in answering multiple choice questions correctly at 3am to get a certificate. This is what happens when society views education as a means to an end ($$) rather than something valued for its own sake. That makes it vocational training, an investment in the future, on which, reasonably enough, a sufficient monetary return is expected. The idea of learning about the world from some point of view (historic, psychological, scientific, physical) just to know more; to be able to understand more of what’s happening around you; to have a context in which to place the morning headlines; to be able to evaluate candidates for public office on the basis of something more than name recognition and knee-jerk reactions to slick slogans; to find a way to navigate one’s personal and professional life using some kind of overall framework of beliefs and values rather than just doing what the preacher, or the parent, or the teacher, or the boss, or tradition, says; to pick a goddamned brand of toothpaste by price, or by environmental impact, or by health benefit, or because you just like the name, with full awareness instead of unconscious, uninformed, self-deluding fumbling – those are considered worthless, because no one pays you for them. Call me a navel-gazing cockeyed optimist, but I think those are the only things that truly matter. But I’ll admit, my view from 60+ is a lot different from that of a 20-year-old about to start. Hence Coursera brags that 1 in 6 of its students are studying data science. I’m just not one of them. Modpo was another special mooc, one that changed what I thought poetry was, and how I thought poetry “worked”. Richard (above comment) will be returning to Modpo – I’m not going to do it this time. I hope the new system you’ve set up works great for you! I love all articles in the subject. We need to hear as many points of view as possible. I don’t agree with most of what is being said here. It’s highly subjective and sensationalist, but yes the income streams for MOOC platforms like Coursera are still not perfected. But perhaps it is the spending streams that need adjusting. edX on the other hand has a totally different model, a model that does not allow them to grow as big and as fast as Coursera, but that allows them to face less hardships over income, although I’m sure they still exist. I agree about the concerns regarding income streams being tough to nail down, but Coursera has raised millions of USD from certificates. What I think these platforms need to do is to really make learners understand that free courses mean less personal attention from INSTRUCTORS, and that’s just the way our economic and social system works at this point in time. It’s still awesome that learners can access these materials, and if they are bored or feel there is a lack of personal attention, they can bugger off and go play Candy Crush, OR they can join a paid-for program where they will get the attention they need. By the way, it’s free to use discussion forums, so learners should be able to ask fellow learners if they were feeling confused about a certain topic for example. $300,000 for a MOOC? That is insane, and that is only the types of MOOCs where the people tried to make “The Best MOOC in History”. I’ve produced 15 MOOCs, and it costs $10,000 a pop at most. Using animation, images, a good instructor, goos problem sets, clever construction, there is no need to spend a lot of money. There are enough passionate instructors, animators, film students, etc, who will contribute their time for free, or for reduced prices. It’s uncalled for. Seriously? $300,000? Example: they wanted to shoot on location in Brazil, USA, Japan for a course about International Relations. JUST USE IMAGES AND EXISTING VIDEOS OF THOSE COUNTRIES FOR GOODNESS SAKE. You want to interview a leader in each of those countries? Hire a local film team and just fly the instructor there for a day or two. Come one, don’t use the case of $300,000 to claim that MOOCs are too expensive. I have awesome animation in some of my courses, almost at the same quality of Crash Course, and like I said the whole thing costs $10,000 max… and to be honest, the learning curve caused the prices to be so high, they don’t have to be. About the abandoning ship thing… that’s nonsensical to me. Just because founders leave an organisation does not mean it’s a sinking ship. Quite the opposite in fact. They founded it in 2012, and it has been 4 long years to get to this point. They have brought in experienced professionals to fill all senior positions, and perhaps they feel their job is done, and they want to now move onto something else perhaps more exciting to them. They have their shares in the company, and most likely they still have some say in the future progress of the company, so why not step back and try something new. e-Learning actually is not their passion at all, they are both into robotics if I’m not mistaken, so let them go follow their passion while the hired professionals handle the e-learning platform. They are not jumping ship from a sinking ship, they are just two legends moving onto the next big thing in their life. MOOCs in their current form are here to stay for a while. In developed nations, universities and learners are going to fund most of it. In emerging markets, companies and government are going to fund most of it. Données identiques, conclusions distinctes – Solva stratégies Inc.
tramullas.com | MOOCs, mucho ruido y ¿pocas nueces?